The HPS Department supports all GHR training activities. It monitorsinternational human rights negotiations, covers all meetings of UN human rights bodies, analyzes the main trends, and informs our trainers and partners in the field. Logically, HPS is entrusted with the preparation of GHR brainstorming sessions and Expert Seminars. HPS has a multidisciplinary and cross-regional team. Unpaid Internships and fellowships are from 3 to 6 months. 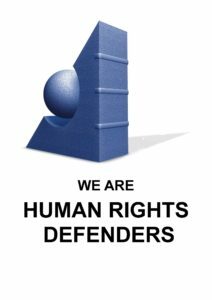 GHR selects students and graduates in international relations, international law, human rights, political science and economics, who are motivated in the promotion and protection of human rights and social justice. Under this programme, HPS attends all the ordinary and special sessions of the HR-Council and its mechanisms. It also monitors all the meetings of the treaty bodies taking place in Geneva. The programme prepares analytical summaries of the sessions as well as special documentation at the request of coalitions and networks in the regions. This will be again the priority of the HPS Department. Special attention shall be given to the ongoing and new trends in the deliberations and decisions of all these UN bodies. Defenders and NGOs in the regions work under difficult conditions. Our 1997 consultation process with partners in the regions highlighted their demand for immediate implementation of the international standards, and their specific concerns for humanitarian law; macroeconomic issues (economic system as source of violations); the struggle against impunity; and the protection of defenders. Since then, other main concerns emerged in our working relations with partners: indigenous peoples’ rights and violence against women. All these issues are raised in all GHR Courses and Seminars.